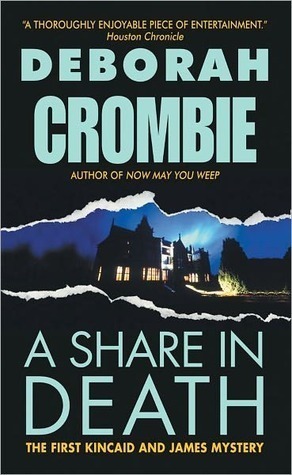 A Share in Death by Deborah Crombie is a 1993 publication. This series debut got off on a solid enough footing, introducing us to Duncan Kincaid and his partner, Gemma James. Duncan takes a reluctant, but much needed vacation at a Yorkshire timeshare, only to find himself embroiled in a murder investigation. This book reads like a traditional or classic British mystery and it’s easy to see why it quickly gained a following and is so successful. This first installment is not overly complicated, dark, or heavy, and even has some wry humor thrown in on occasion, with a human-interest story to cap things off. Duncan is a terrific character, especially here, where he gets most of the spotlight. Gemma’s character was slightly muted, but I realize we are just getting started, and I already know her character will develop quite nicely as we go along. This is a short, easy read, and was lots of fun. I am feeling pretty excited about working my way through this series, which is something I’ve been meaning to do for a long time now. I did read a later release a long while back, but while the mystery was fine, the interpersonal dynamics between longtime recurring characters left me totally in the dark. So, it was obvious that even if the mystery elements can be read as a stand alone, if I really wanted to enjoy the series to the maximum, I’d have to start at the beginning. I see this series now has a whopping seventeen installments, but I am determined to read through them all, and eventually, hopefully, get caught up with it. Overall, this is an entertaining read any mystery fan can enjoy. Deborah Crombie grew up near Dallas, Texas, but from a child always had the inexplicable feeling that she belonged in England. After earning a Bachelor's degree in Biology from Austin College in Sherman, Texas, she made her first trip to Britain and felt she'd come home. She later lived in both Chester, England, and Edinburgh, Scotland, where she failed to make as good a use of being cold and poor as JK Rowling. It was not until almost a decade later that, living once more in Texas and raising her small daughter, she had the idea for her first novel, a mystery set in Yorkshire. She had no credentials other than a desire to write and a severe case of homesickness for Britain. A Share in Death, published in 1993, was short-listed for both Agatha and Macavity awards for Best First Novel and was awarded the Macavity. Crombie's fifth novel, Dreaming of the Bones, was a New York Times Notable Book in 1997, was named by the Independent Mystery Booksellers as one of the 100 Best Crime Novels of the Century, was an Edgar nominee for Best Novel, and won the Macavity award for Best Novel. Subsequent novels have been published to critical acclaim and in a dozen languages. 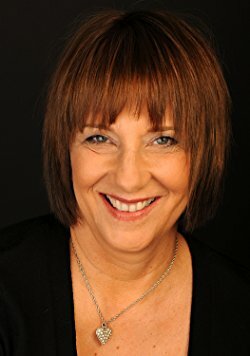 Crombie's fourteenth novel featuring Metropolitan Police detectives Superintendent Duncan Kincaid and Inspector Gemma James, No Mark Upon Her, will be published by Harper Collins in February 2012. The author still lives in Texas but spends several months out of the year in Britain, maintaining a precarious balance between the two, and occasionally confusing her cultural references.